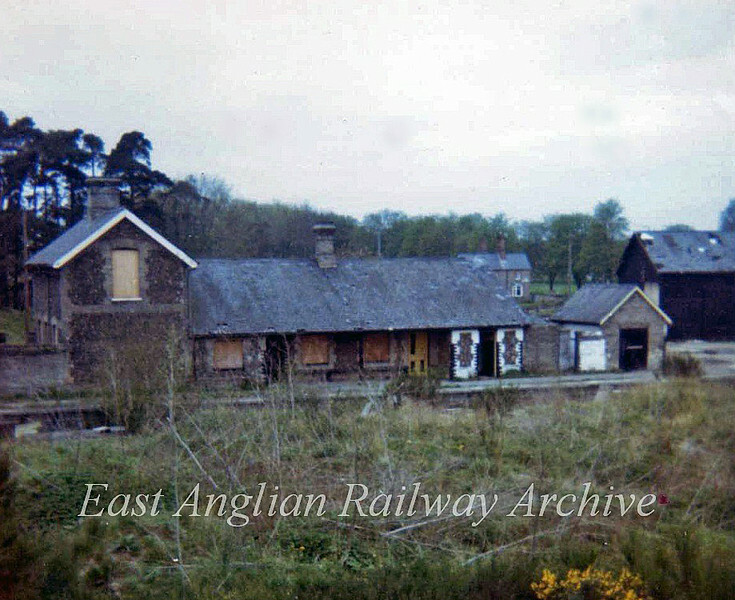 Thetford Bridge Station, Norfolk in May 1973. Once a Youth Hostel,. the station was on the Bury St Edmunds to Thetford branch which closed to passenger traffic on 8th June 1953 and to freight on 27th June 1960.